My other favourite province - Jeonju. Jeonju is the last province that we had visited because we go back to Seoul. My first time here and I'm actually looking forward to it because I got to experience Hanbok again after tried it 3 years back! 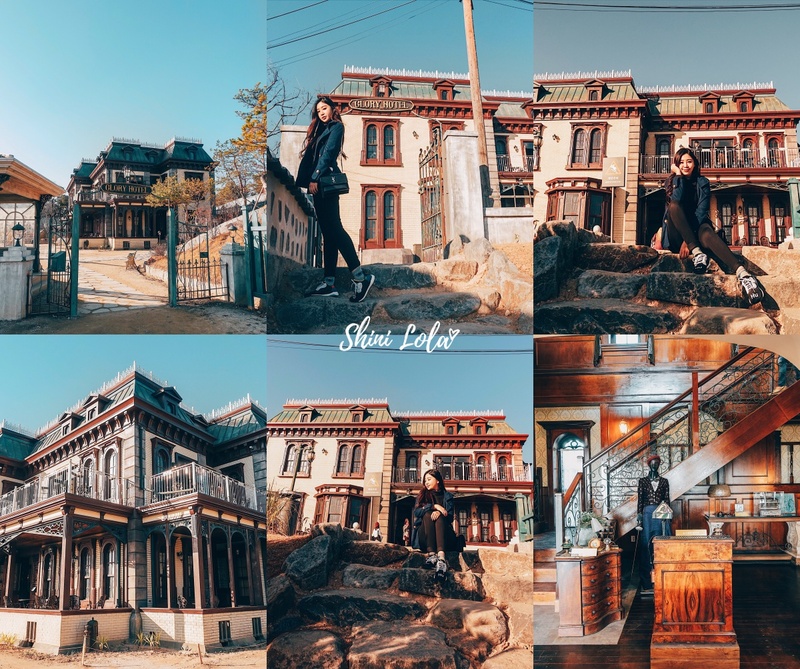 I'm also excited to visit Jeonju Hanok Village, Nonsan Sunshine Land and Myeongjae House too. Jeonju is the 16th largest city in South Korea and the capital of North Jeolla Province. It is both urban and rural due to the closeness of Wanju County which almost entirely surrounds Jeonju. (Wanju County has many residents who work in Jeonju.) The name Jeonju literally means "Perfect Region" - from the hanja 全 (전; jeon) for perfect, 州 (주; ju) for the region. It is an important tourist centre famous for Korean food, historic buildings, sports activities, and innovative festivals. In May 2012, Jeonju was chosen as a Creative Cities for Gastronomy as part of UNESCO's Creative Cities Network. This honour recognizes the city's traditional home cooking handed down over thousands of years, its active public and private food research, a system of nurturing talented chefs, and its hosting of distinctive food festivals. Jeonju Hanok Village is especially beautiful for its unique roof edges, which are slightly raised to the sky. Hanok houses are generally divided into two sections, Anchae and Sarangchae. Sarangchae is where the men dwell and are referred to as the Seonbi room. Because men and women had to remain separate, Anchae is situated deep inside the house so that it is secretive and quiet. Basically, we just dropped by this place as hanbok photo-shooting place. Lol. We saw there are so many street foods here and we don't have the chance to try them because we are busy taking photos of our hanbok. Looking forward to revisiting this beautiful place again. Address : 29, Eojin-gil, Wansan-gu, Jeonju-si, Jeollabuk-do. 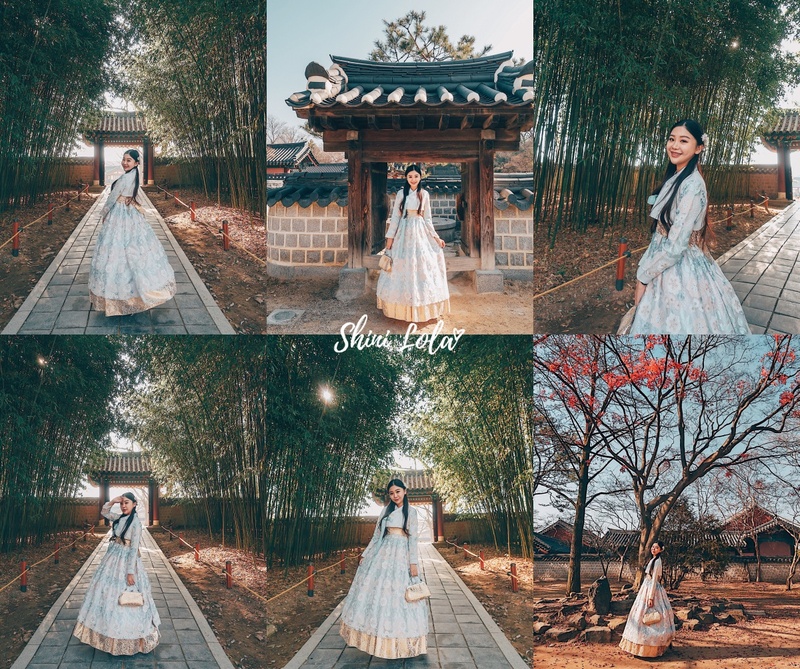 A Hanbok is a traditional Korean dress for semi-formal or formal attire during traditional occasions such as festivals, celebrations, and ceremonies. It is characterized by vibrant colours and simple lines without pockets. Although the term literally means "Korean clothing", hanbok usually refers specifically to the clothing of the Joseon period. 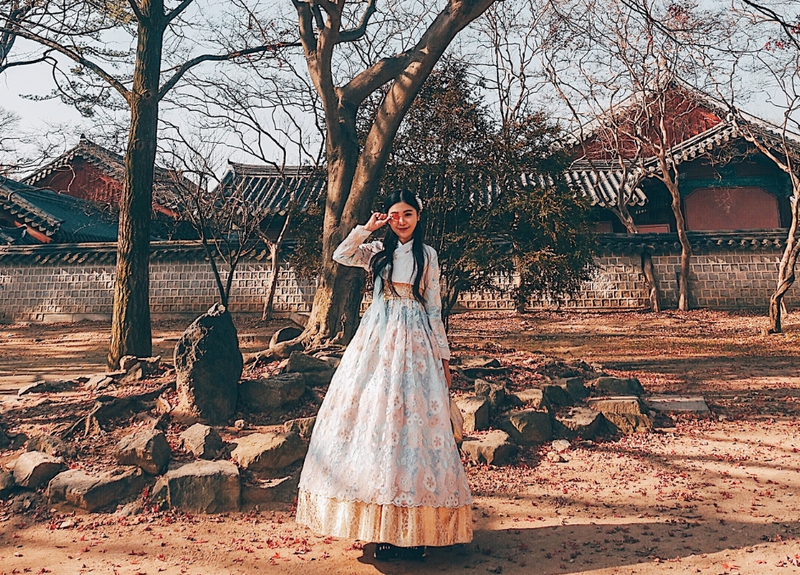 Korea had a dual clothing tradition in which rulers and aristocrats adopted different kinds of mixed foreign-influenced indigenous styles while commoners preserved a distinct style of indigenous clothing, today known as hanbok. My first Hanbok experience at 3 years ago wasn’t a great one because back then, I have no idea how to pose and take a great photo. It was great that I tried it again and I love my dress! Do you guys love it like I do? 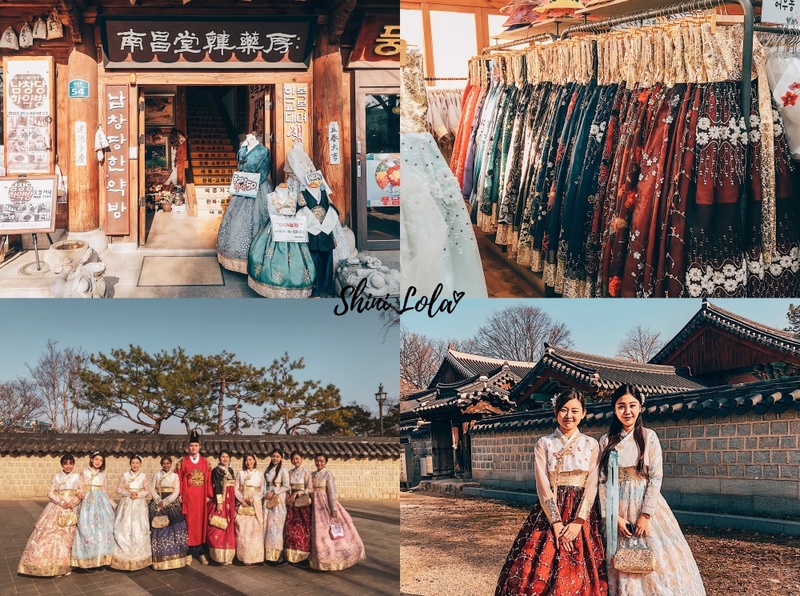 I love the fact that the hanbok provided by this shop is so beautiful! Even all my followers on Instagram are saying that. To be honest, I don't know what's the shop name, but you can find this shop by looking for the sign of 南昌堂韩药房. They have the traditional type of colour scheme and the modern type (pastel) of colour hanbok as well. The one that I had chosen was in pastel colour and I look like a Korean princess here! A weekend drama, Mr.Sunshine, starring Lee Byunghun and Kim Taeri, have been getting a lot of attention lately. 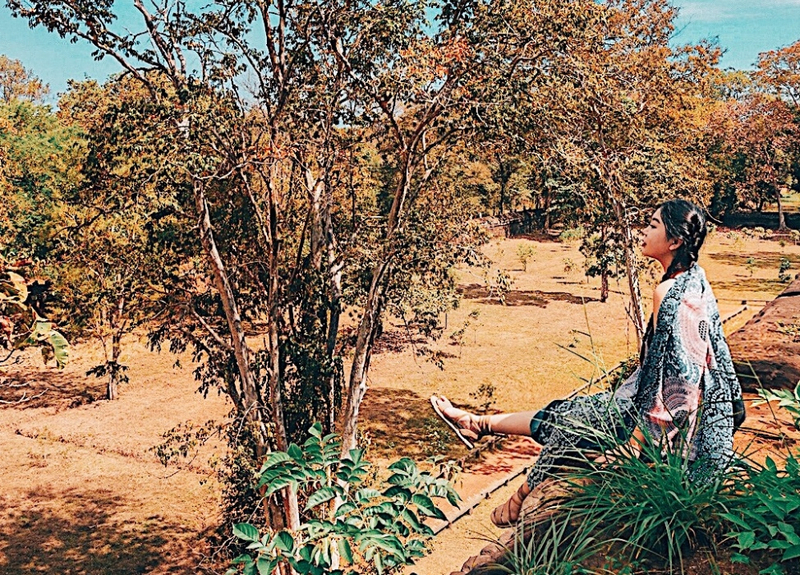 With drama’s popularity, film location “Nonsan Sunshine Land” is also receiving attention. When I posted an instastory about this place, there are many followers telling me they love watching this drama. Well, although I didn't watch this drama I'm excited to visit this studio. Nonsan Sunshine Land reflects the city of Nonsan, which is known for its military basic training facilities, with VR military game experience, screen shooting range, and an indoor shooting program. The replica of 1950s street of Seoul completes the attraction, making it a popular venue for visitors. For your info, in case you didn't watch the drama like me, this is the hotel that the main actress and actor first met in episode 1 I guess. Some of my girls watched the drama and they said entering this hotel remind them the drama scene. 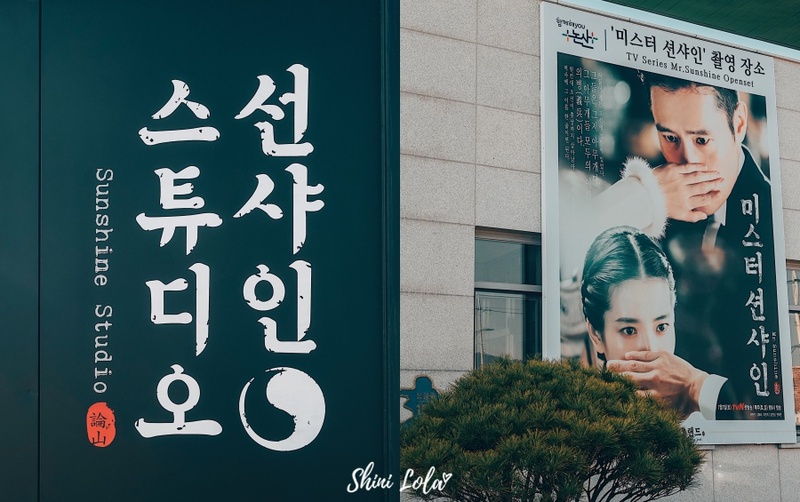 Next to the Sunshine Land, “Sunshine Studio”, where the shooting of drama Mr.Sunshine was held, will be open to the public sometime after the drama ends on September 23. Take a trip down to Nonsan on a clear autumn day and relive the scenes from the drama. This trip wouldn’t be amazing without these ladies! All of them are so down to earth, super friendly, talkative and fun! It was great to meet them on this trip and I can’t wait to see you guys soon. From what they told me, this is the scene that the main actor died because of the shooting. Something like he tries to rescue the main actress so he sacrifices himself. And... this is his graveyard. I can't believe it looks so real thou. My first time visiting graveyard for the drama/movie scene. It was very worth to pay a visit especially if you watched the drama. Address : 102, Bonghwang-ro, Nonsan-si, Chungcheongnam-do. How to get there : From Yeonmudae Express Bus Terminal Bus Stop take bus no. 201 or 216 to Hwanghwa 4 Bus Stop. Walk approximately 5 minutes to Nonsan Sunshine Land. Myeongjae's House (Yun Jeung's House) is a Jongga or family head house of the Papyeong Yun family. Myeongjae Yun Jeung (1629-1714) was a famous Confucian scholar and political reformist of Joseon Dynasty, though he never took any government post. The house is presumed to date back to the early 18th century. It is said that the house was built in 1709, and began to be residing at by Myeongjae's grandson in 1725. It is deemed to be one of the most typical upper-class houses in the middle of the Joseon Dynasty. 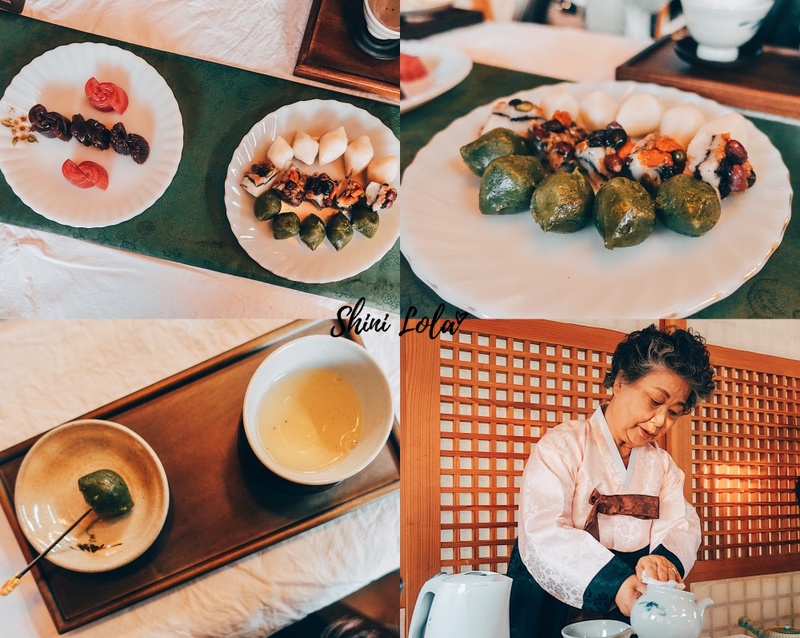 After we been seated, we have been told some history of the tea and ddeok was been served. It was my first time to tried Korean ddeok and I love it! It was a perfect match with the tea. I had learnt a lot of tea history, some knowledge about it and even know how to hold the cup correctly. It was truly a great experience because you won't get to try this every day. It was something new for me because as a tourist, we always go shopping and sight-seeing. An experience like this is memorable for me. This halmeoni was too cute! She was so friendly and super sweet when we had a conversation with her. She reminds me a lot of my grandma because she passed away when I was a kid and I got so many memory of her. It was nice to meet her here. Say hi to her if you're interesed to visit this place. The house is located at Gyochon-ri Noseong-myeon Nonsan-city Chungcheongnam-do province. The location of the house has a special sense of place. Noseong national Confucian academy is located on its left (west) side. And Noseong Confucius portrait shrine, one of two such shrines existing in Korea, where the portrait of Confucius (Kongzi) is enshrined, is located on its right side. Myeongjae's House is designated as the Important Folklore Material (No.190). Address : 50, Noseongsanseong-gil, Noseong-myeon, Nonsan, Chungcheongnam-do 32903, South Korea. Bibimbap, sometimes romanized as bi bim bap or bi bim bop, is a Korean rice dish. The term “bibim” means mixing various ingredients, while the “bap” noun refers to rice. Bibimbap is served as a bowl of warm white rice topped with namul and gochujang, soy sauce, or doenjang. 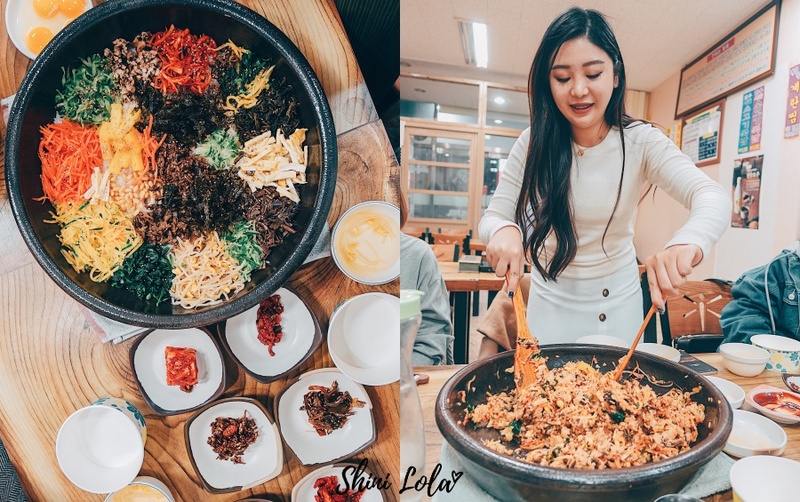 Not only is Jeonju is considered to be the birthplace of bibimbap, they even hold an annual Jeonju Bibimbap Festival every October. It's served with several varieties of vegetables, hwang po mook (a yellow jelly made from mung beans) and raw egg yolk (most other regions in Korea use fried eggs). We got to experience the making process and it was fun! I'm not a fan of bibimbap when I was in Malaysia, I thought it was just mixed rice and nothing special. However, when I get here and taste it, it tastes delicious! I have no idea. Maybe the ingredient was different? No wonder they are well known for the dish. Thanks to the owner for the tips! Ramada Worldwide offers a warm and friendly stay no matter where you travel around the world. Our guests enjoy high-speed wireless Internet access, cosy beds for a relaxed and restful stay, and a variety of hotel choices to match every trip; from a family vacation or weekend getaway to a full-scale conference or wedding. We are committed to creating caring experiences for every person, every time, and strive to make our guests feel truly refreshed and restored during their visit. Address : 94 Jeonjugaeksa 5gil Wansangu Jeollabuk-do Jeonju-Si. 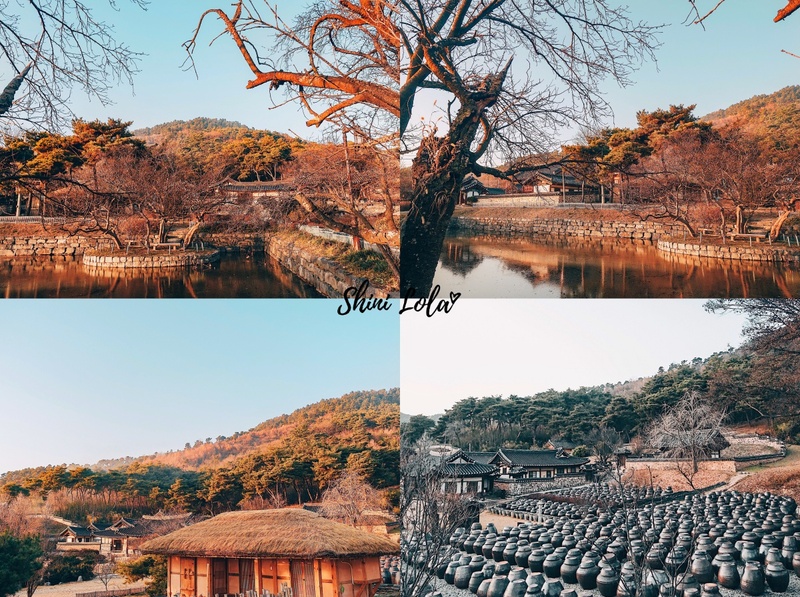 If you have missed the previous Korea trip blog posts, no worries, you can always refer to the links as below. Feel free to leave a comment if you have any inquiry.